NMMI serves as a preparatory school for students seeking an appointment to the United States Coast Guard Academy. The curriculum for the USCGA self-prep students consists of English Composition, Higher Math, Chemistry, Physics, and Physical Education. The Prep Director/Advisor works with the cadets to provide assistance and guidance help each student succeed in the academic arena, the Corps of Cadets and physical fitness. Students applying to the Coast Guard Academy must meet established SAT/ACT minimum scores, medical and physical qualifications for admission. 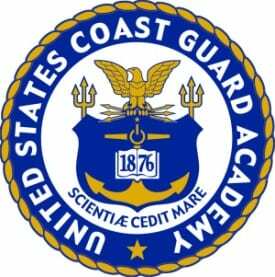 For more information about the United States Coast Guard Academy please click below.